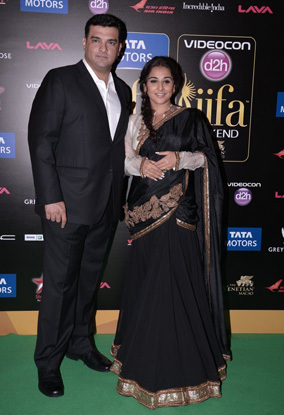 Taking a break from Sabyasachi was Vidya Balan in an Anand Kabra lehenga saree. Some may say it’s overwhelming but somehow it works for me. The side braid was a good choice considering anything else would have put the look in the “too much” zone. Verdict: Vidya Balan is HOT!